It’s all very well tracking your sleep patterns with a device like the Jawbone Up, but if you’re struggling to get a good night’s rest, how do you actually improve the situation? 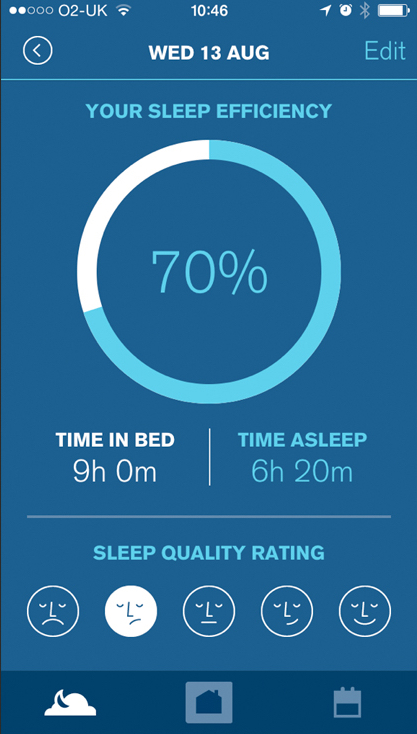 UK startup Big Health has today brought its Sleepio sleep therapy service to iOS. Previously available only on the Web, Sleepio is based on cognitive behavioral therapy and supported by peer-reviewed research. The app was originally supposed to support Apple’s new HealthKit SDK, allowing it to pull data from compatable sleep tracking devices. However, the last-minute postponement of HealthKit compatability in iOS 8 yesterday forced Big Health to rush out a revised version that misses out that feature. 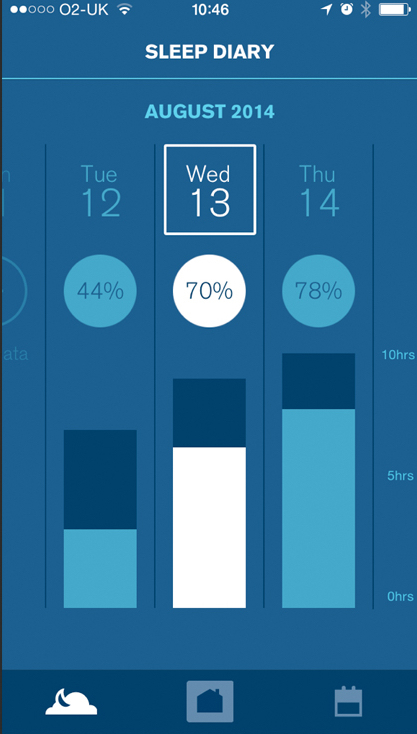 Sleepio for iOS can import data about your sleep from the Jawbone Up but full HealthKit compatability will come later. From there, ‘the Prof’, a virtual sleep therapist in the app, gives you advice to improve your sleep schedule, thoughts and lifestyle. Big Health is backed by Index Ventures and Forward Parnters, and cofounder Peter Hames tells us that he sees Sleepio as a form of scalable ‘digital medicine’ that takes pressure off doctors while providing genuine results. While I haven’t been able to test Sleepio yet, Big Health says that in its own tests 75 percent of people with persistent sleep problems improved their sleep to healthy levels, compared with a placebo or no treatment. The app is free to download and try for a week, but then you’ll have to pay $4.99 per month or $149 for 12 weeks’ access depending on the amount of help you need. Even after the first week, the sleep diary and schedule features remain free.